Train to become a driving instructor with PassFaster today and we’ll make sure that your transition to a better career is quick, easy and stress free! 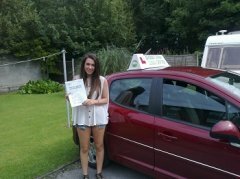 Please visit our brand new site http://www.drivinginstructortrainingliverpool.co.uk/ for more information. How do I become an ADI (approved driving instructor)? If you choose to train with PassFaster then you can expect DSA approved standards and receive professional driver instructor training at all times during your ADI training. To complete your driving instructor training you will need to pass each of the 3 compulsory examinations. Due to the detailed training programme that we provide this means that we’ll be able to help you progress through each of the three stages quickly and with lots of help! Stay within your budget but learn with the best! Introducing your step-by-step guide to becoming an instructor. This process generally takes around 3 - 6 months but you can speed it up as much as you’d like or take your time if you’d prefer to. The best thing about becoming a driving instructor is that this process revolves around you! It takes a lot of hard work and determination to pass your ADI training but everyone at PassFaster will be there to support you along the way. At the end of the process you’ll reap the benefits of becoming self-employed by being able to choose when, where and how often you work. 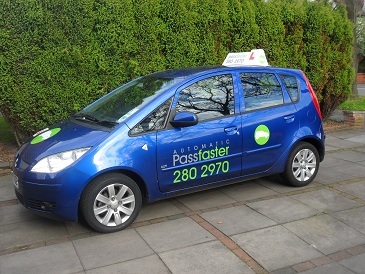 With many driving schools around there’s lots of choice for driving instructors to choose from but PassFaster’s personal, professional approach can’t be beaten and we offer competitive rates too! You can remain flexible whilst undergoing your training programme by fitting your training in around other commitments and/or current job as we are open in the evenings and at the weekends – this is so that the process is made easier for you. Based in Liverpool, PassFaster reach out to all areas of the North West and encourage you to join us for an exciting new career change. Being on the Register of Approved Driving Instructors. By becoming part of the R.o.A.D.I your clients will know that you will provide, at least, the expected level of driving instruction. Take your course with PassFaster and we’ll equip you with more! The register was set up to improve the standards of UK road safety – as all learner drivers will be trained to a high standard by their instructors. Under the Road Traffic Act 1988 it is illegal to charge anyone for driving instruction unless your name appears on the Register of Approved Driving Instructors or if the registrar has issued a trainee licence to give instruction. What do I need to become an ADI? - A full British or Northern Ireland car driving licence. - You must have held this licence for a total of (at least) 3 years out of the six years prior to entering the register after your qualification. If you have held an automatic licence, a foreign driving licence or a provisional licence these all count towards your 3 years that are required. - A clean driving licence – this means having not been disqualified from driving at any time during the 3 years before entering the register. - You must be fit and proper to be entered into the register. - You must have completed a CRB check. N.B All convictions will be taken into account upon application. Your suitability to become a driving instructor will be assessed before you are entered into the register. Each of the three parts that are listed above must be passed in order to receive your ADI status. The tests must also be completed in this order and the two practical tests must be passed within 2 years of passing the theory exam. Each driving instructor in training is allocated 3 attempts at each of the practical tests. In the event that you fail to pass you are required to wait until the end of your two-year period since passing the theory exam until you can begin again. PassFaster will put 100% into helping that you pass within this time frame! Part 1: theory exam and hazard perception – explained. - The principles of road safety and their application in specific circumstances. - Driving techniques: courteously and safely taking control of the vehicle, following road procedures, recognising hazards and taking action quickly and effectively, acknowledging and anticipating pedestrians and other road users correctly and stating the use of any safety equipment that is related to the vehicle. - The theory and practice of learning, teaching and assessment. - The tuition that is required to instruct a pupil how to safely drive a car (this includes the items set out above), the correction of any errors made by pupils, adopting a suitable manner/tone of voice as an instructor, developing an instructor-pupil relationship and simple vehicle adaptations that are required for disabled drivers. To pass your theory test you must score 85% or above in the exam. In addition to this, the test is split into 4 sections and for each of these you must obtain 80% in each section individually too. You’ll receive your result at the end of this test before you leave the centre. To help you to prepare for the theory exam PassFaster will provide you with the support that you need to learn the content. In addition to this you will also be expected to study at home in order to increase your chances of passing this exam. You can have as many attempts as you need in order to pass the theory section of the ADI qualification. Part 2: practical driving test (ability to drive) – explained. You must prove to your examiner that your eyesight and driving style are adequate enough to be able to instruct others. From a distance of 27.5m you must be able to read a number place (with the help of your glasses/contact lenses if needed). This driving test is much more advanced than the initial learner-driver test that you will have previously undertaken but with PassFaster’s help we will make sure that your technique is perfected. You must demonstrate that you have thorough knowledge of the principles of good driving and road safety, and are able to put them into practice when driving. You will experience heavy traffic, fast moving traffic (motorways/dual carriageways) and both built up and rural areas during this first practical test. You are allowed up to 6 faults whilst completing this part of your ADI qualification but if any serious/dangerous incidents occur then this will result in automatic failure. You must provide a car for this part of your instructor test and it must be fully taxed and properly insured. It can be a saloon, hatchback or estate car and must have all seat belts fully functioning. The car must be in good condition with manual transmission, right hand steering and adjustable seats in the front. You must remove any ‘L’ plates before entering this vehicle for this practical test. If needed, PassFaster can arrange for a hire car to be supplied by the test centre for the examination. You will receive the decision that the examiner has come to at the end of the test. In order to prepare you for the first practical exam PassFaster will provide you with in-car training from one of our excellent, professional instructors. You will also be expected to practice any techniques in between your PassFaster training lessons. As stated above you are allocated 3 attempts to pass your first practical test (part 2). Should you fail to pass within these 3 tries you must wait until 2 years has passed since completing the theory exam, and then begin again. Once you have passed your driving ability test you will be able to progress onto part 3 – the final stage! Part 3: practical test (ability to instruct) – explained. This third and final stage will last approximately one hour and is split up into two phases. 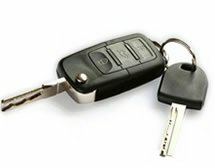 Your supervising examiner will take on the role of 2 ‘candidates/pupils’ and you are required to demonstrate your instructing skills in teaching them to drive the car. To form the two parts of the test the instructor will choose two roles and each one will use one of the scenarios that are listed below and you must pass both in order to pass the final part of your ADI training. - Safety precautions when entering the car and explanation of the controls. - Moving off and making stops. - Reversing in numerous different situations. - Maneuvering the vehicle using both forward and reversing gears to face the opposite way from the starting position. - Parking close to the kerb using a full range of gears to ensure the maneuver is carried out smoothly. - Explanation of an emergency stop and a demonstration (with the use of mirrors). - Speed judgement, making progress and general road positioning. - Junctions, crossroads, pedestrian crossings. - Ability to give correct signals in a clear and unquestionable manner. - Overtaking, meeting, allowing adequate clearance for other drivers. You must keep your timing strict and allocate 30 minutes to each of the 2 sections of the examination. Your instruction to the ‘pupil’ should match the level of competence that the examiner chooses – so that you can display how you would treat pupils who vary in capability. The same vehicle guidelines that are outlined in part 2 still apply, but for part 3 your car must display ‘L’ plates - as you will, theoretically, be instructing a pupil. You will be notified of your result once the test has ended. As with part 2 you are allocated 3 attempts to pass this final practical stage. Should you fail all 3 attempts the same penalties apply as stated in part 2. Only once you have passed your training and paid the fee will you appear on the ADI Register. PassFaster will always do our best to ensure that the process is quick and stress-free to get you to this stage as soon as possible. Following on from your registration you will be sent an official Certificate of Registration that includes your name, photograph and instructor badge. Now that you’ll be able to instruct freely you must display your instructor badge at the bottom left hand corner of your windscreen at all times when training pupils. Standard registration lasts for 4 years and can be extended again before it expires. Upon your qualification as an ADI you will be graded, as are all instructors, between 1 and 6. - 1-3: This level is unacceptable and below the required standard. In order to improve this grade further tests would have to be completed and in extreme situations the instructor may be removed from the register. But PassFaster will do everything in our power to train you to a higher ADI standard than this. - 4-6: Acceptable. 4 is good, 6 is excellent. This is the standard that all instructors should aim for. Throughout your career as a driving instructor you will be assessed every 2-4 years in order to make sure that you are still fit and able to provide instruction to learner drivers. PassFaster will help you each step of the way in becoming a qualified ADI and once you have achieved this status we boast very competitive rates at just £80 per week to become part of our reputable, well-established driving school. You will also receive 3 free franchise weeks per year and experience complete flexibility with your career. You could earn up to £35,000 per year if you make this career jump now! If you wish to make this investment in your future then call PassFaster now on either 0151 280 2970 or 0785 245 1457 and we’ll be happy to get the process in motion for you. Should you have any further questions regarding becoming an ADI or concerning PassFaster in Liverpool then don’t hesitate to get in contact with us right away. We’ll be more than happy to answer any questions that you may have or provide you with more information. 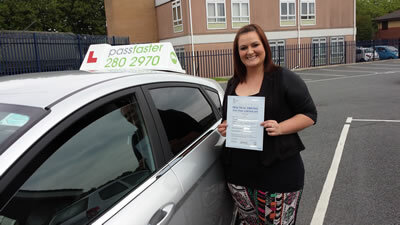 "It only took me 6 weeks from when I started my part 2 training until I was granted a Trainee Licence. In my first week working for Passfaster I already have 18 hours of work booked in. The training was excellent and everything I hoped for when I started the course has been exceeded. I would highly recommend going in and having a chat to Chris before you consider using any other company."